Most Truckee car and truck owners come to their knowledgeable Quality Automotive and Smog service advisor with specific services in mind and an idea of how much they’ll be spending. But how should you react when additional and unexpected items are uncovered that require attention? Every vehicle repair or maintenance customer at Quality Automotive and Smog receives a Red Check Inspection at no additional cost. This inspection is performed to assist the customer in planning future service and sometimes will uncover an issue that needs to be addressed immediately. It is not uncommon for customers to suspect that a shop is just adding on unnecessarily to a work order. At Quality Automotive and Smog be assured this is not the case. Our mission is to be Your Trusted Local Auto Care and in order to accomplish this, we inspect the vehicle and give an honest recommendation of what services are needed immediately and in the future. 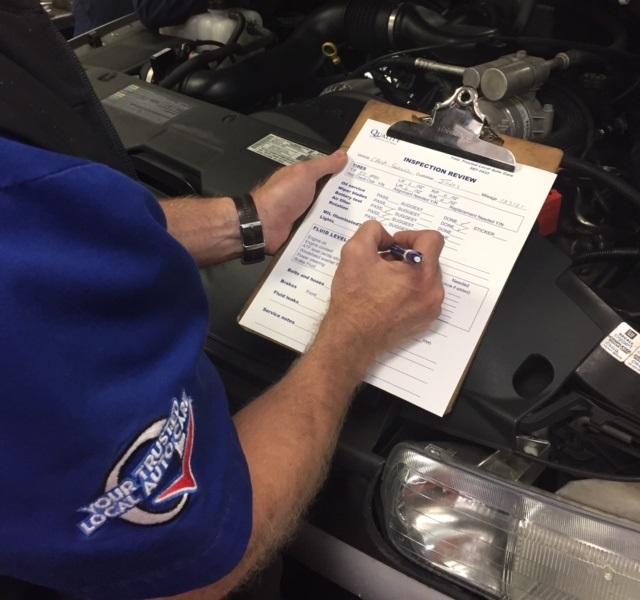 Recommendations are based on the manufacturer’s maintenance schedule, wear and tear on a parts and issues uncovered during the vehicle inspection. The Red Check Inspection opens the door to a conversation with the customer so they can better understand the vehicle manufacturers recommendations: recommendations that cover every system on the car, truck, or minivan and are set by the engineers that design the vehicle. If folks followed every one of those recommendations they would experience better fuel economy, enjoy better performance, have an easy time with Truckee smog inspection and avoid dangerous roadside breakdowns and repairs. Your Quality Automotive and Smog service advisor is an educator who will help you with a plan for catching up on scheduled services and a partner in taking care of your family’s vehicle priorities.